A middle schooler struggles to reconcile family secrets, his asthma, and his love of sports and firefighting. 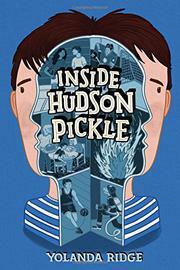 White, sports-obsessed seventh-grader Hudson Pickle is frustrated with his life. After his asthma held him back a grade and he was removed from his hockey team due to a massive growth spurt, Hudson feels anxious. He’s lost touch with his two close friends, and without his team he feels even more socially adrift. Desperate not to let his body define him, he anxiously trains for basketball tryouts and stubbornly researches firefighting as his dream career. When his uncle moves in with Hudson and his mom, Hudson’s world is shaken up: 30-something Vic is an eccentric rocker whose unusual levels of fatigue and erratic behavior make Hudson nervous. Vic’s stay pushes more questions to the surface for Hudson: is Vic a drug addict? How did Hudson’s baby brother die when Hudson was 2? Who was Hudson’s father? Hudson’s mom firmly refuses to share any information, but Hudson is determined to find answers, no matter what. Hudson’s first-person narration doesn’t always feel authentically like an American teenager’s (he lives in western New York), with occasional outdated slang and Canadian vocabulary that doesn’t fit. Heavy-handed similes and an extremely tidy conclusion further drag down the narrative.